Size: approx. 10-15 mm. Photo: 09/11/11, 11 am. This is my first Clearwing Moth (Synanthedon arkansasensis). It is found in the Southeastern U.S. and Texas. 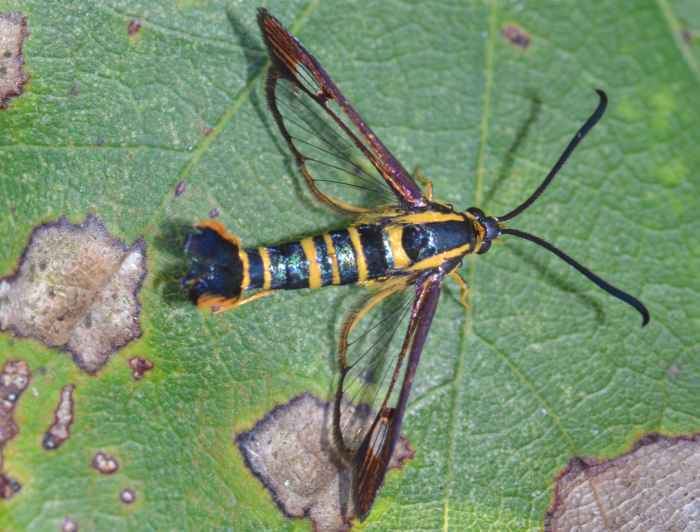 Many Clearwing Moths resemble wasps and bees.